This research study attempts to present a complete and an unbiased overview of the U.S. market for bacterial conjunctivitis drugs on the basis of its past and existing performance. 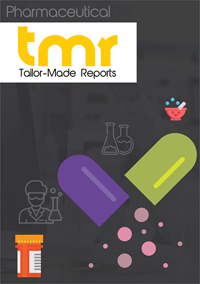 The key growth boosters, limitations, significant trends, opportunities, challenges, and future prospects of this market have also been studied thoroughly in this research report. It also offers concept testing analysis of such bacterial conjunctivitis drugs on monetary and technical parameters including product type and provision of waste treatment. The monetary parameters considered includes initial cost of ownership of such bacterial conjunctivitis drugs along with the operation cost. The concept testing assessment covered in the report would assist in understanding the preference of end-use industry segment in for automated or remotely controlled and for on-board or off-shore waste treatment process. Macrolides, fluoroquinolones, and aminoglycosides are the main classes of drugs utilized for the treatment of bacterial conjunctivitis in the U.S. Topical fluoroquinolones is witnessing the most prominent demand among all classes of bacterial conjunctivitis drugs in this country. However, the segment is expected to be hampered severely in the years to come, on account of the upcoming expiration of patents of the bestselling drugs of this class by the end of 2016, such as Moxeza, Vigamox, and Zymaxid. The opportunity in this market will also be hurt significantly in the years to come, owing to the continual infringement by generic variations of these drugs in the U.S. market. Valeant Pharmaceuticals International, Inc., Santen Pharmaceutical Co., Ltd., Pfizer, Inc., Perrigo Co. Plc, Novartis AG, Merck & Co., Inc., F. Hoffmann-La Roche Ltd., Bayer AG, Akorn, Inc., and Allergan plc are some of the leading vendors of bacterial conjunctivitis drugs across the U.S.